Just last week, we reported that Netflix was going to move forward with a plan to develop more interactive programming like the recent Black Mirror event Bandersnatch, which was a sci-fi choose-your-own-adventure story about a guy making a video game. The catch was that Netflix said whatever it did next probably wouldn’t be sci-fi, with an executive specifically mentioning a romance or a “wacky comedy.” As it turns out, Netflix’s next interactive thing isn’t any of those, with a press release revealing that it’s actually a survival show where you—the viewer—has a chance to guide Bear Grylls on one of his dramatic outdoor adventures. 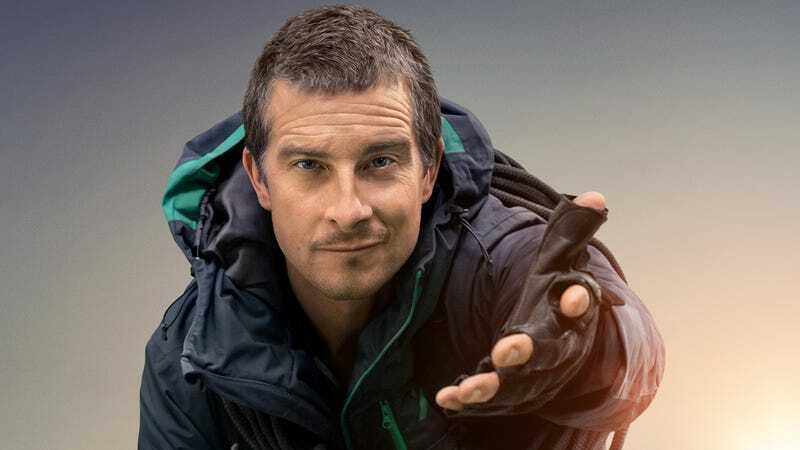 The eight-episode series is called You Vs. Wild, and the press release says that you will “make all the decisions” and that “whether or not Bear succeeds or fails is totally up to you.” It’s all going to be pre-taped, so you can’t make so many bad decisions that Bear Grylls ends up dying on top of a mountain, but you’ll hopefully at least be able to influence his actions enough to make him sleep in a cold cave and eat dirt (if that’s what you want). This all sounds like a lot of work for Grylls, since he must’ve had to endure each of his outdoor adventures multiple times so he could show every outcome, but that sounds like the kind of miserable thing he’d enjoy anyway. Some of us just get our kicks watching people on Netflix go outside.